When you are using Windows 7 you will notice that it have window effects like shadow on windows opened, animation effects while moving a window. 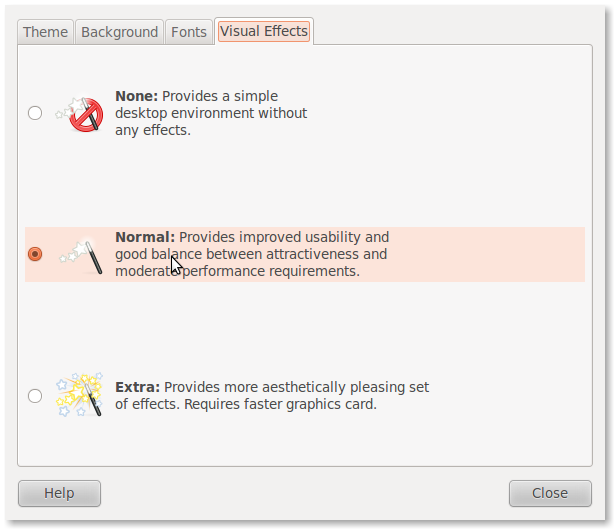 You can also have these kind of effects in Ubuntu. 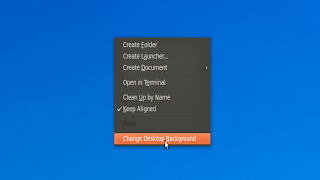 To enable the feature right click on your desktop. Choose Change Desktop Background. A window will now open with 4 tabs. Open Visual Effects tab. 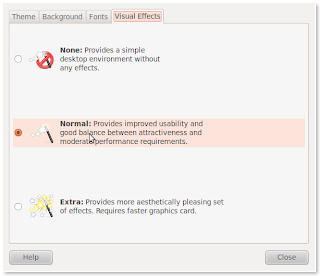 Choose Norma if you have a Graphics Card with a memory of 512 MB. Choose Extra if you have 1 GB graphics card. A installation will begin. After downloading required files the screen will become blank 1 or 2 times. Don’t worry! That’s it. Try out your new Desktop Effects.